Sisu is a Finnish word that’s difficult to translate. It means something like endurance, determination, stamina, fortitude—or, in American slang, guts. Certainly, the expression fits the Sisu 22. 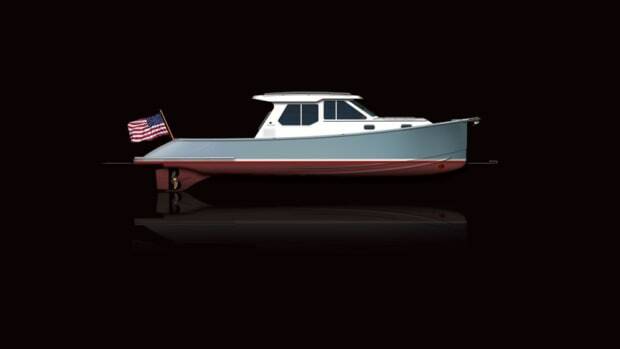 Designed four decades ago, the doughty Downeaster has been called one of the most seaworthy designs ever for a small powerboat. It came off the drawing board of Maine’s Royal Lowell, the dean of all things lobster boat. 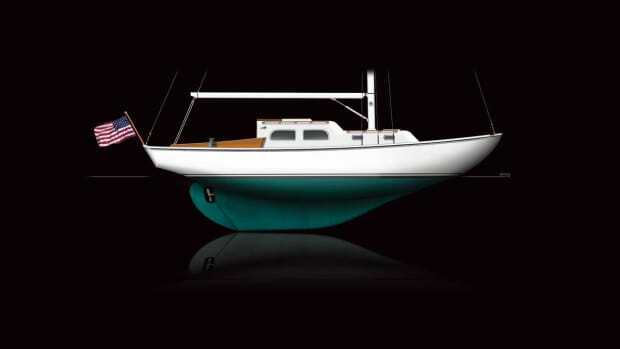 In the 1970s, Lowell drew three designs, including a 22-footer, for a New Hampshire builder. 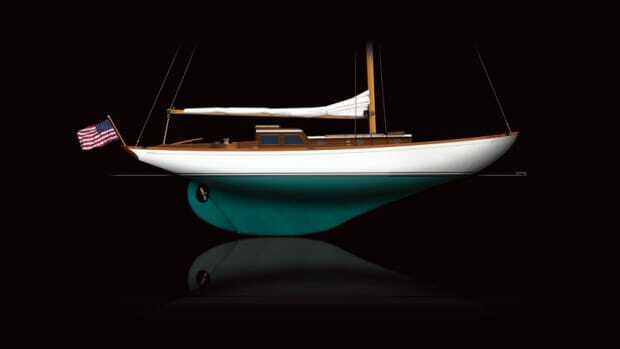 The boats were lauded, but the business failed and the fiberglass hull molds were disbursed. But the 22 survived. 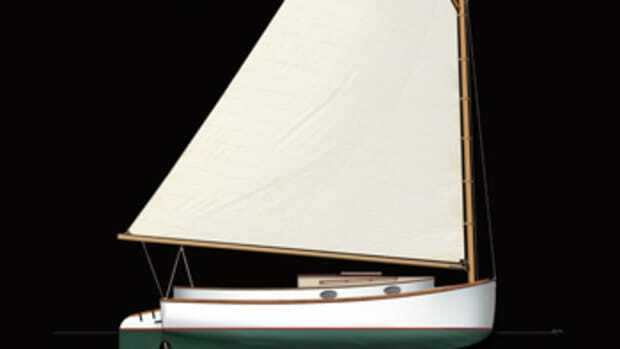 Prized for its rugged build and seakindly, round chine hull, along with its simple layout and basic amenities, the boat came off the line at different companies in various places, including Nova Scotia. 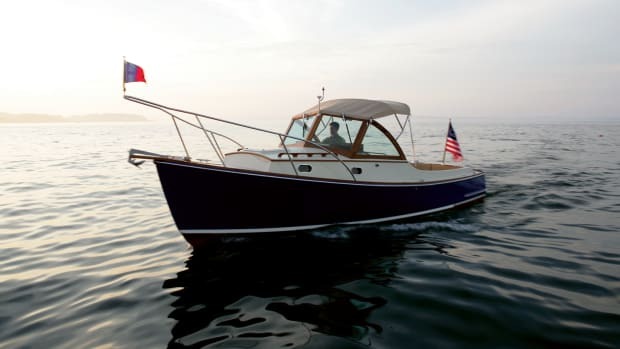 Today, Eastern Boats in Milton, New Hampshire, offers the Sisu 22—but not your granddad’s version. 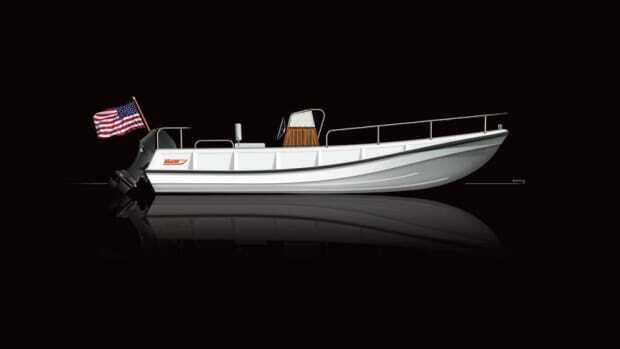 Eastern uses modern composite materials in the boat’s construction. Recessed chines reduce spray and add lift, and an outboard bracket adds cockpit space—early Sisu 22s had an inboard diesel. 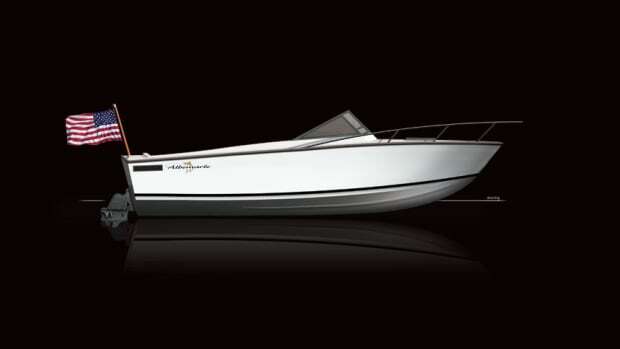 Eastern offers the Sisu 22 in its two traditional forms. 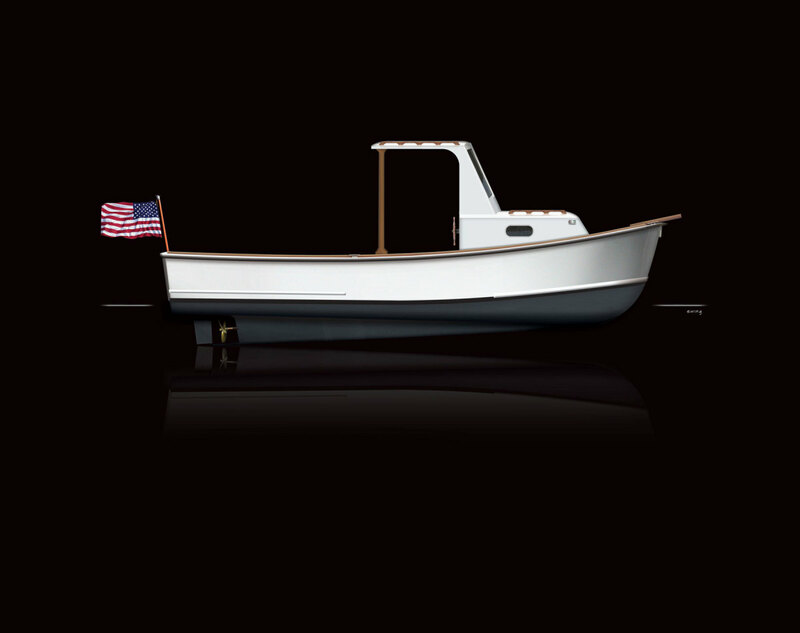 There’s a bass boat model with a framed windshield and an open cockpit, and a lobster boat version with an open-sided pilothouse. Both models have helm and companion pedestal seats mounted on stowage boxes that double as aft-facing seats. The open pilothouse (with optional isinglass roll-down curtains) provides some shelter from sun and bad weather. 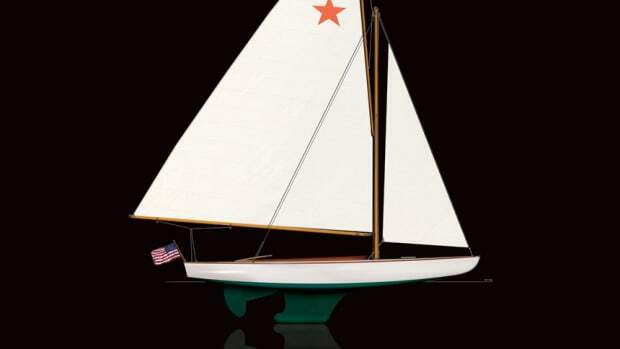 The True North 38 made its debut in 2001. Seventeen years later, it’s still turning heads.